Home / Beautification / 10th Annual Valley Disaster Preparedness Fair Comes to Northridge West! Will the move of the 2017 Disaster Preparedness Fair to the Northridge Fashion Center stir up interest in the Northridge West stakeholders? Will it be the impetus community members need to pay attention to the impending disaster that will eventually happen? Being prepared for a disaster, natural or man-made, is very important. We have all seen what happened after Hurricanes Harvey and Irma; neighbors are helping neighbors. However, if we are prepared as a neighborhood or a community, that would make us even more resilient. Keeping an eye out for each other in both good and bad times builds a stronger and safer community. Northridge Neighborhood Council West (NWNC) will have a booth at the 10th Valley Disaster Preparedness. Stop by and receive free Disaster Preparedness supplies while they last, and share your concerns, ideas, and interests. Let’s start a dialogue. We look forward to seeing you on Saturday, October 7, at the Northridge Fashion Center’s Pacific Theater’s parking lot. At the NWNC September 2017 meeting, the board took a giant step in its efforts of community beautification. 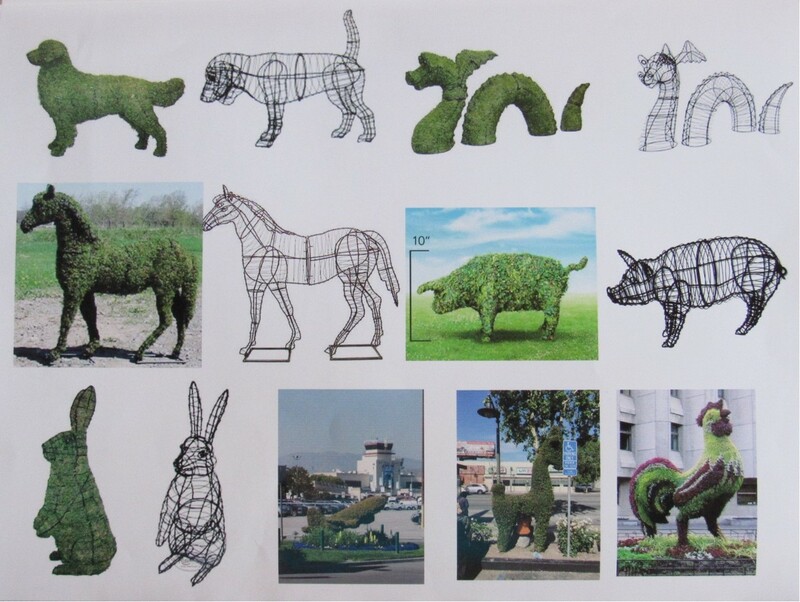 The board voted to place a topiary scene of animals found on a California Rancho in the 1850’s on open space on the Tampa Median. Topiary figures are plants that are grown and shaped to resemble recognizable objects. Usually, they are designed to resemble animals, but they don’t have to be. In the case of the Tampa median, it would be common ranch animals or even people that would have been found at that time on a rancho such as horses, sheep, cattle, pigs, dogs, chickens, and perhaps a ranch hand. I don’t want to disappoint anyone and give you the impression that the appearance of this lovely pastoral scene will be anytime soon. As with all things involving the city, there are steps that must be followed, approvals that must be made before anything can happen. I will keep you posted as progress occurs. 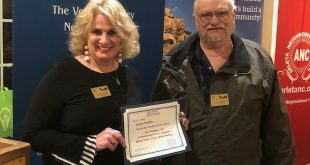 In March of this year, Northridge West Neighborhood Council, at the request of our stakeholders, put on had an informational meeting on sober living homes, the state of the industry, and the sober living home that had opened up within 600 feet of Beckford Elementary School, and was being managed by a paroled murderer. AB 285 was discussed at this meeting. The bill was sponsored by Assembly Women Melisa Melendez from Lake Elsinore, California. Sadly, it appears that this bill, with only a few days left, will not advance this legislative year as it is stuck in the Appropriations Committee. The NWNC board worked in partnership with a local organization named WARN (We Advocate Regulation Now) to make the meeting a success, drawing a large turnout and featuring Councilmen Mitch Englandlander, Assistant City Attorney William Larson, representatives from County Supervisors Office, Assemblyman Dante Acosta and Senior Lead Officers from Devonshire Division. My question to our stakeholders is: Is this an issue of concern to our stakeholders and are you willing to volunteer a little of your time to contact local politicians to take action on this issue? If you are concerned about this, please let me know. The issue of homelessness and how to respond to it in the Northridge area has been a topic of much concern the last year. Both Los Angeles County and City have approved bond measures regarding homelessness.
. As a new committee, there are no roles or defined missions. If you join the committee, you will have an opportunity to serve your community and help define what this committee could do, or should do, or might do in working on this issue. You do not have to be an expert, or even knowledgeable on the subject, just a willingness to learn about the issue by attending local meetings and sharing that with the board. Assemblyman Debabneh discussed proposed legislation at the meeting. Among the items, he spoke about was AB611, which makes available new tools for banks to prevent elder financial abuse. AB1194 calls for increased transparency for voters considering local bond measures, so they will know how their property tax rates will be affected. AB1620 strengthens “revolving door” restrictions on an elected officials in the Legislature, discouraging them from resigning mid-term and triggering a costly special election. For more information on these bills or to ask questions or make comments for the Assemblyman, please contact Armine Sargsyan at his District Office (818) 904-3840.
or call me at 818-697-0639. Recently, our Education Committee chair has resigned from the board, and we are looking for a chair for that committee. Unfortunately, to be a committee chair you must be a board member. If you are interested, please contact me for more details. Previous NWNC to Stakeholders: Your Voice Counts!